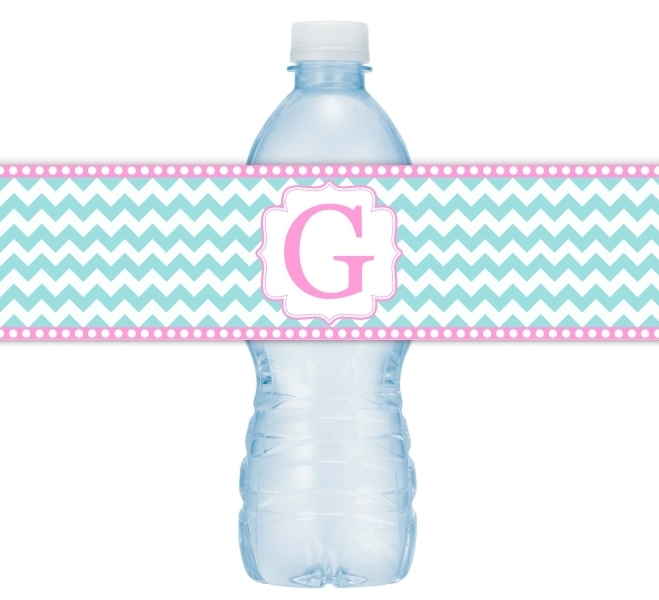 Pink and Green Chevron Water Bottle Labels, with letter monogram. If you'd like to match the theme/colors of your party, you can choose the colors! Just let us know in the additional comments section, and we'll send a proof before printing and shipping.